On Sunday, Stafforce Dumfries overcame Ferguslie by two wickets in their CricHQ40 Cup quarter-final in a close finish at Nunholm. Ferguslie were all out for 115 with Chris Brockwell taking three wickets and the Brazenall & Orr Dumfries Man of the Match, Chris McCutcheon, taking four for nineteen runs. 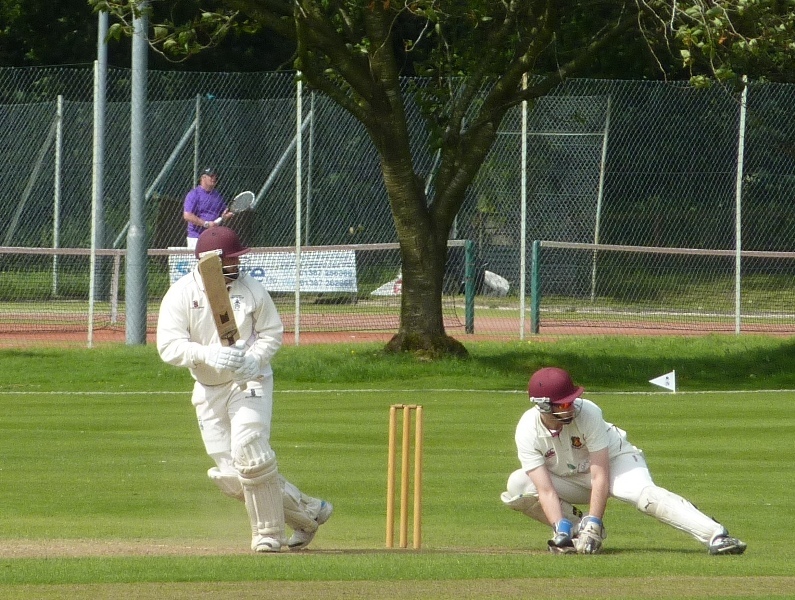 A second wicket partnership between Chris Bellwood and Dean Brotherston seemed to put Dumfries on the right course but wickets meant that Robert McBride and Stuart Corbett-Byers were required to take the score into the nineties. Ferguslie professional Dabengwa then dismissed McBride for 29, one of his four wickets, and Corbett-Byers pulled a short delivery to long leg where an important catch was held. It required a tense ninth wicket partnership between Peter Lojszczyk and Stuart Alexander to nurse the side to a win and into the semi-final. Sunday and Monday saw the concluding matches for the Scotland Reivers in the North Sea Pro Series, in the Netherlands against the Dutch Hurricanes. In two low scoring matches, Niall Alexander took three wickets in the Twenty20 and two in the 50 over match. Dumfries teammate Scott Beveridge took a wicket in each game as the Reivers lost the T20 and won the 50 over contest. On Saturday, both league fixtures for the Dumfries sides were a victim of the rain and had to be abandoned. This Saturday, in the Western Premier League, fourth placed Dumfries are at Uddingston, who are in fifth spot, and Dumfries 2nds are at home against Bothwell. For information about playing at Nunholm, juniors or seniors, see www.dumfriescricketclub.co.uk .